Club Nàutic Estartit is in a privileged setting in the Empordà region. L’Estartit lies at the heart of the Costa Brava, about 7km from Torroella de Montgrí. L’Estartit has a lot to offer: narrow streets steeped in seafaring tradition, a promenade with excellent views of the Medes Islands and Roca Maura, and 5 kilometres of beaches and coves ideal for relaxing and enjoying the Costa Brava sunshine. 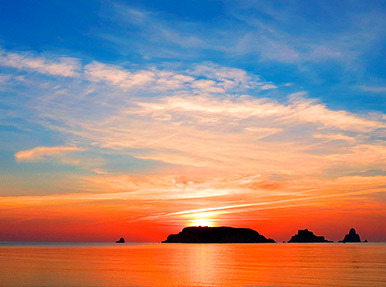 L’Estartit is in an incomparable setting within the Montgrí, Medes Islands and Baix Ter nature park. The Montgrí massif, with its steep cliffs, mysterious caves and small coves perfect for losing yourself in; and the Medes islands marine reserve, with an ecosystem unique in Catalonia where posidonia seagrass coexists with big fish like grouper or the native yellow-legged gull, are the main attractions and sources of life to be protected in this incredible place. On the coast around L'Estartit you'll find white sandy beaches to sunbathe or play beside the sea, and small coves surrounded by cliffs. 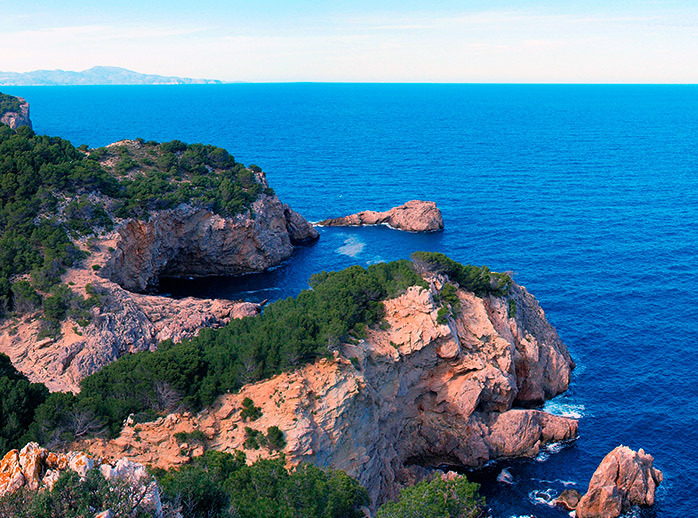 From Club Nàutic Estartit you can get to a host of hidden places: within your reach are more than 50 coves and beaches within a 25-mile radius. Get carried away and discover all of them. 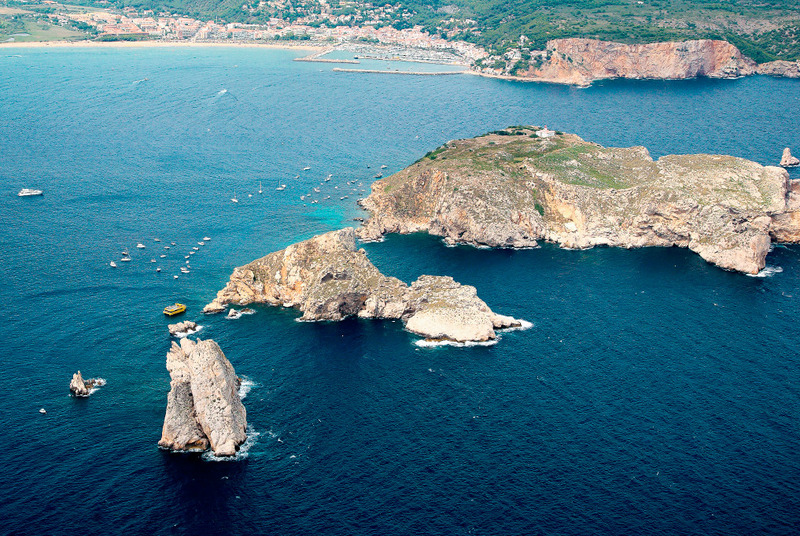 Club Nàutic Estartit is a green harbour, a pioneer in taking measures to protect the environment. It regularly runs campaigns to raise users' awareness of the responsibility we all have towards the environment that surrounds us. We foster good environmental practices both at the moorings and at sea. We are committed to sustainable, ecological management, focusing our efforts on caring for the environment, by minimising the impact of harbour activity and maximising the energy efficiency of our facilities. We guarantee the top quality of the services provided and assure health and safety for both users and employees through out integrated management system (IMS) based on the UNE EN ISO 14001:2004 and EMAS environmental standards, the UNE EN ISO 9001:2008 quality standard and the OHSAS 18001:2007 health and safety standard. 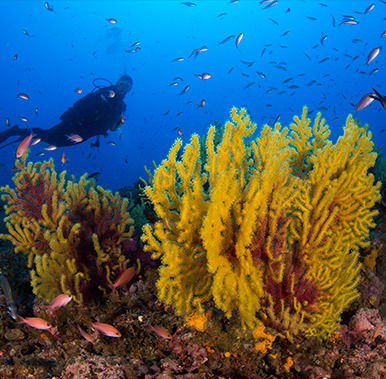 Along the same lines, the Club is adhering to the Voluntary Agreements Program for the reduction of greenhouse gas emissions from the Generalitat de Catalunya and from the end of 2018 to the European Charter for Sustainable Tourism of the Natural Park of the Montgrí, the Medes Islands and the Lower Ter. We encourage our users to do the same by awarding the Blue Flag to those who adhere to good environmental practices aboard their craft. ATTENTION: As stipulated in point 13 of the guide to interpreting the criteria for awarding the Blue Flag for ports in 2016, "The blue flag must not fly during reconstruction and/or expansion work in the harbour. Notification of such work must be given to ADEAC". For this reason, since notification of the beginning of the work on Phase 1 of L'Estartit harbour, we have been obliged to stop using the flag and it cannot be used again until the work is completed. In any case, the Club will continue to be run according to the environmental, quality and safety standards set down for the flag. Moreover, you can send us the pertinent information and we will process the Blue Flag for your boat once the work is finished.